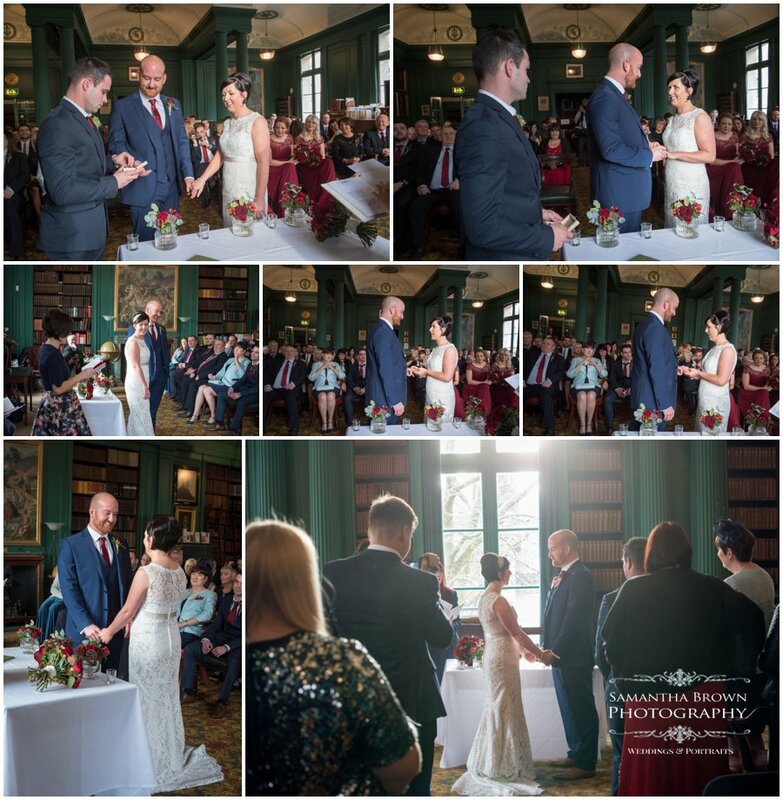 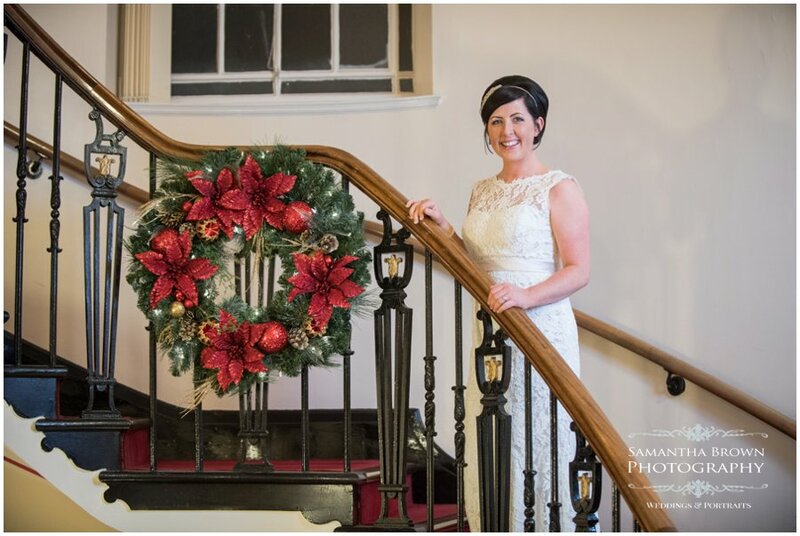 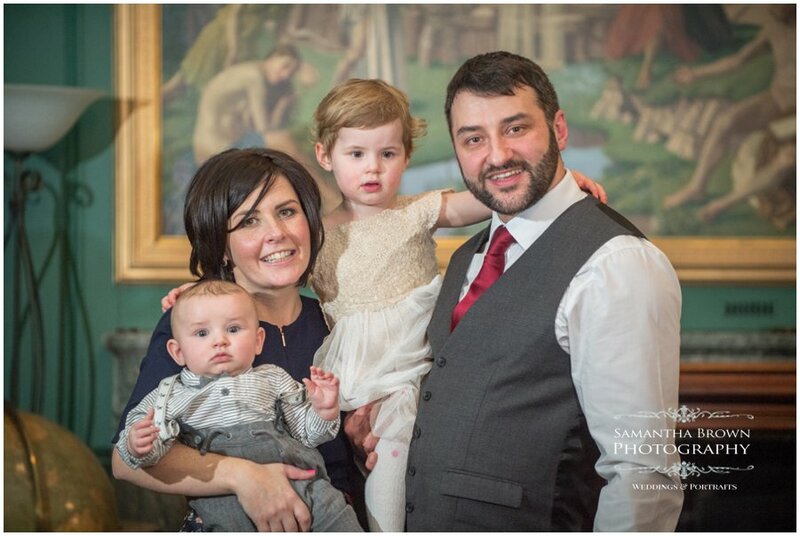 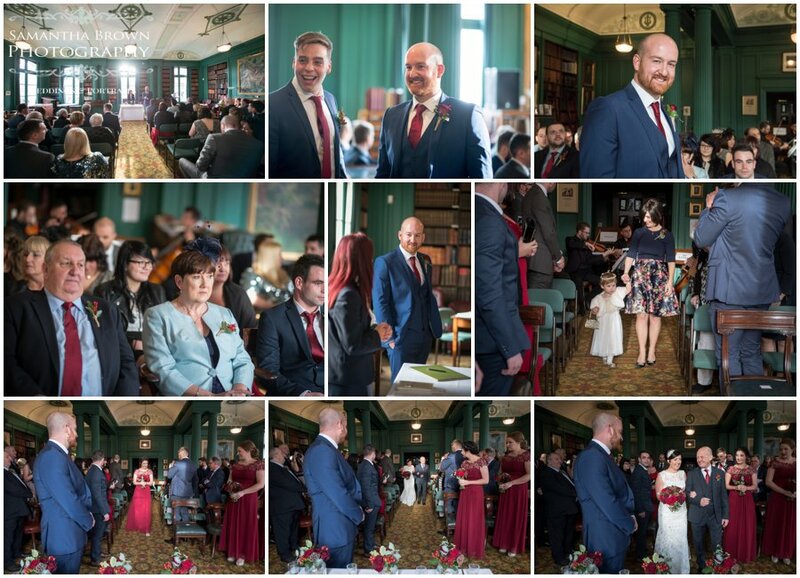 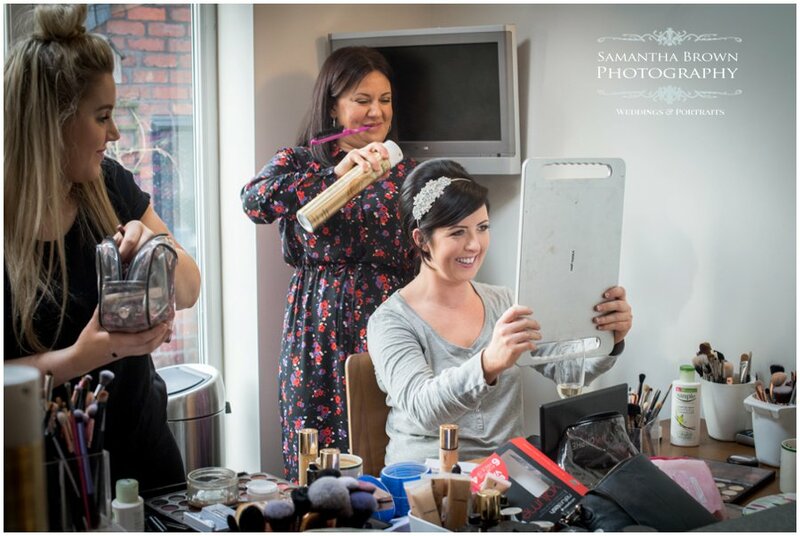 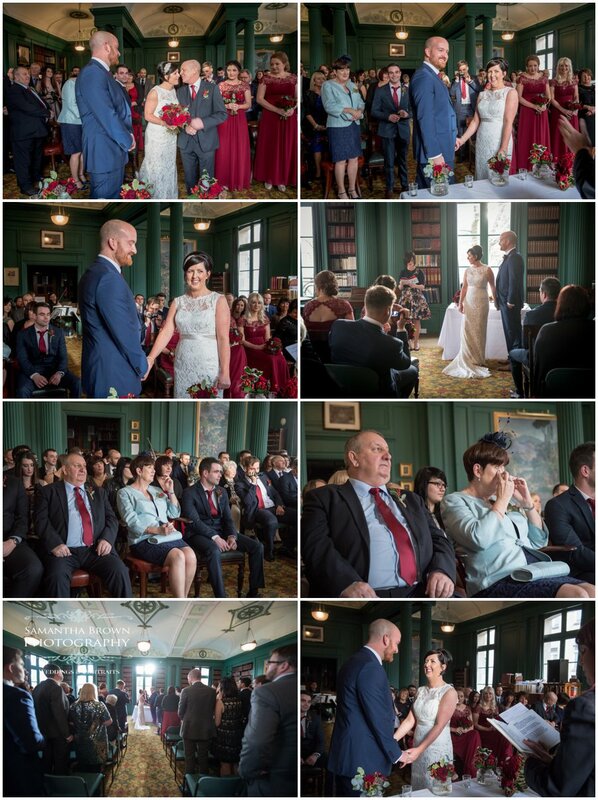 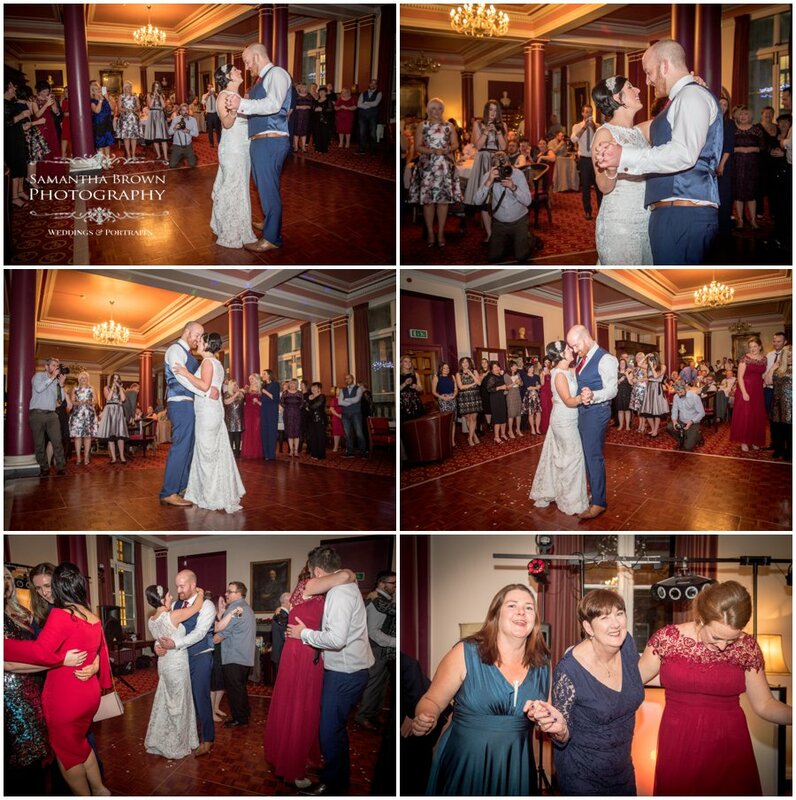 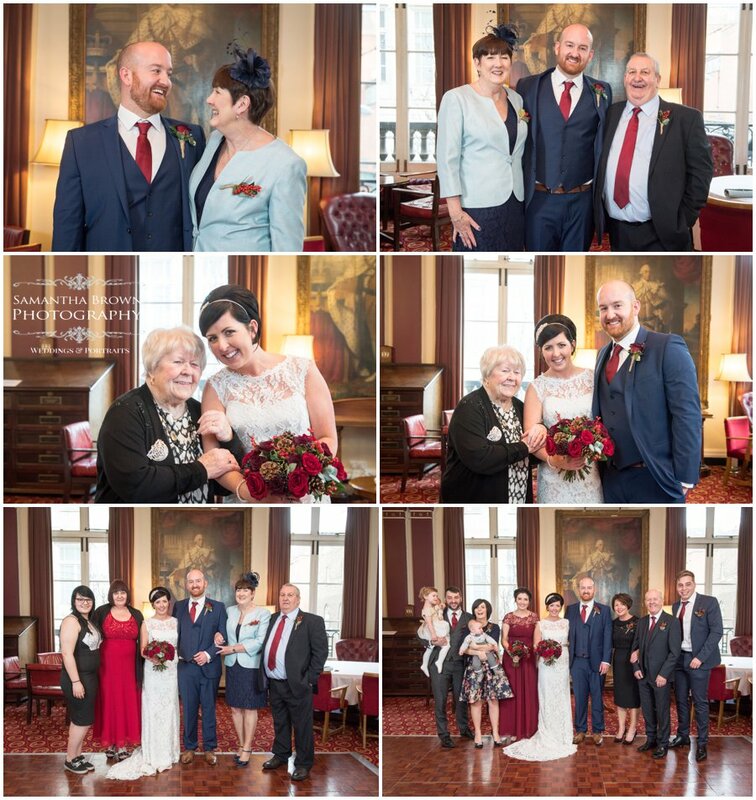 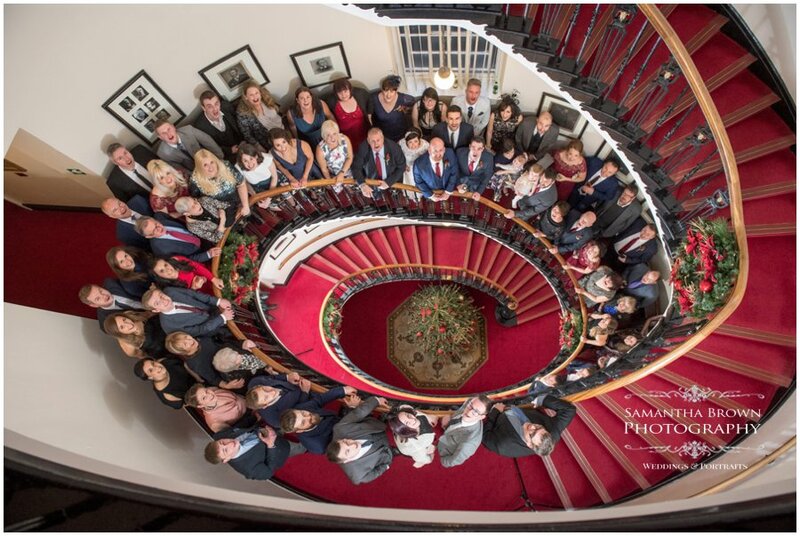 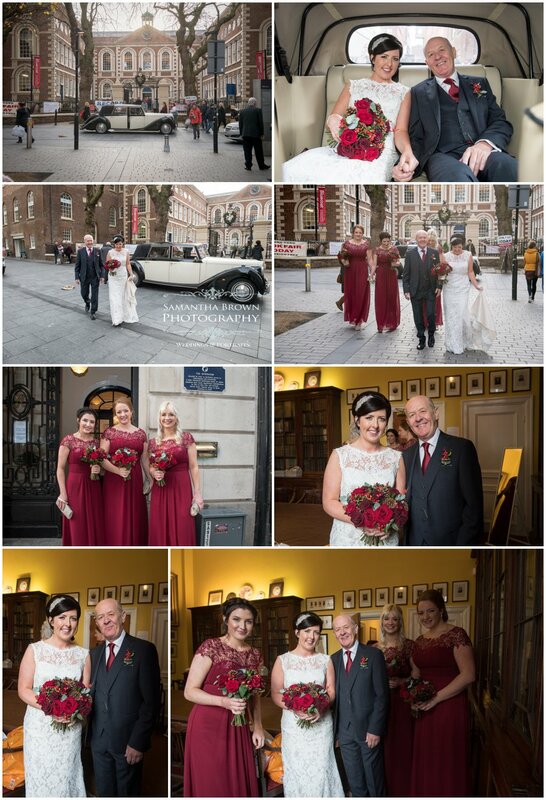 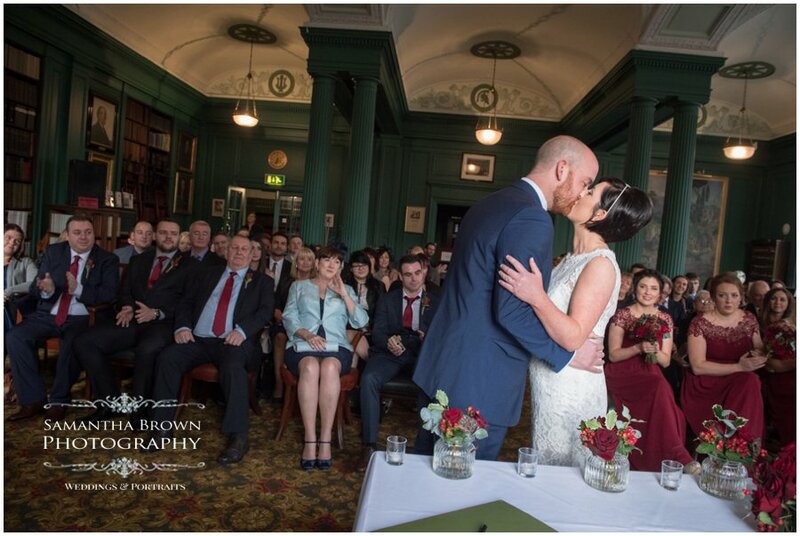 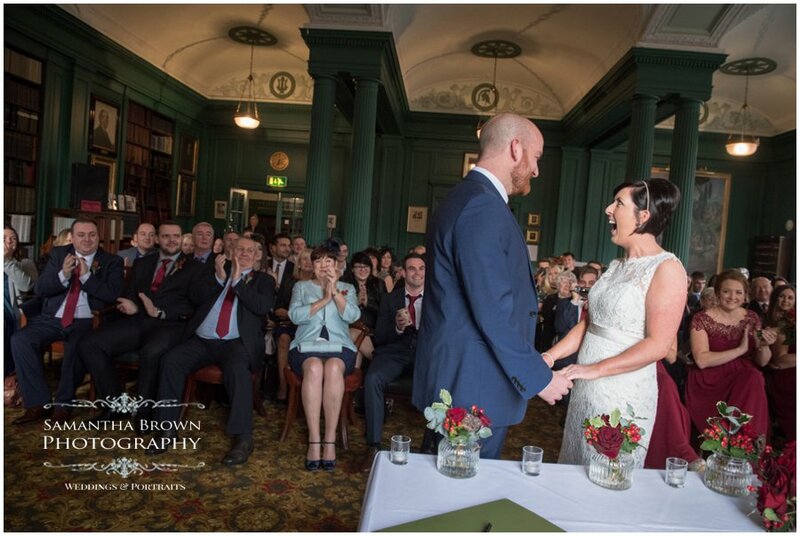 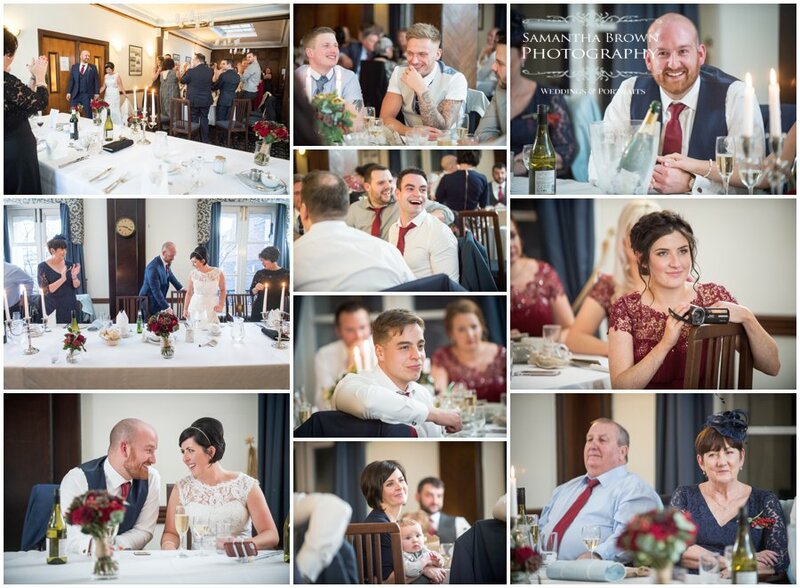 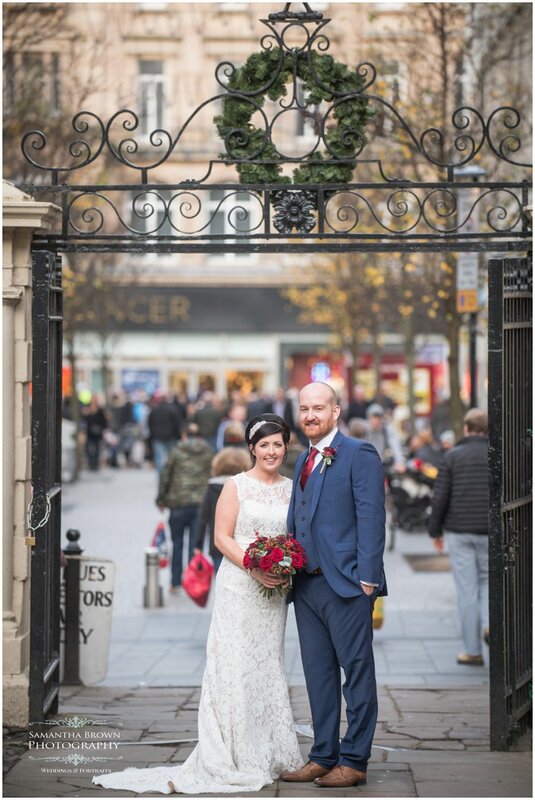 The Liverpool Athenaeum wedding of Helen and Ray took place on the 17th December 2016. 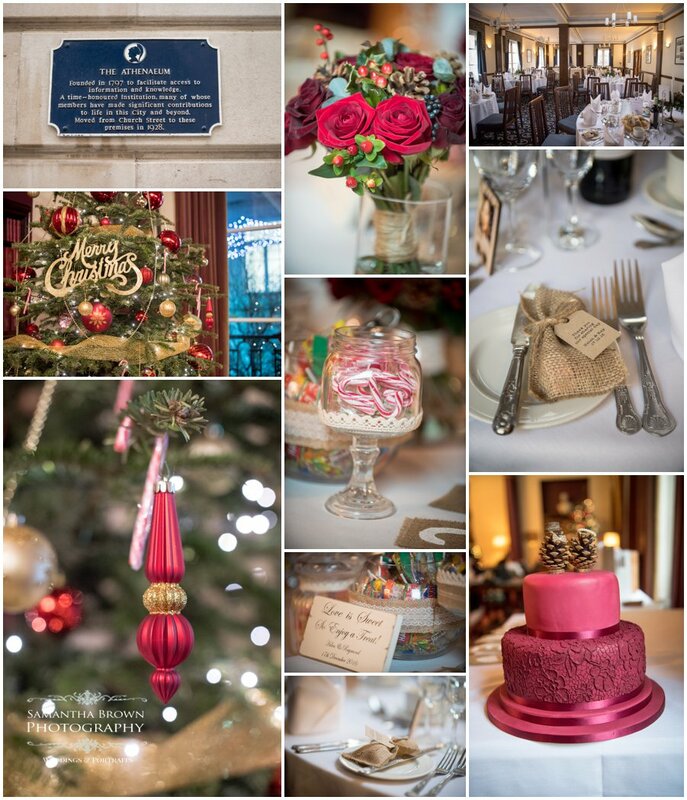 It was a full on year last with all sorts of exciting things happening, now Im finally catching up on my blog slowly! 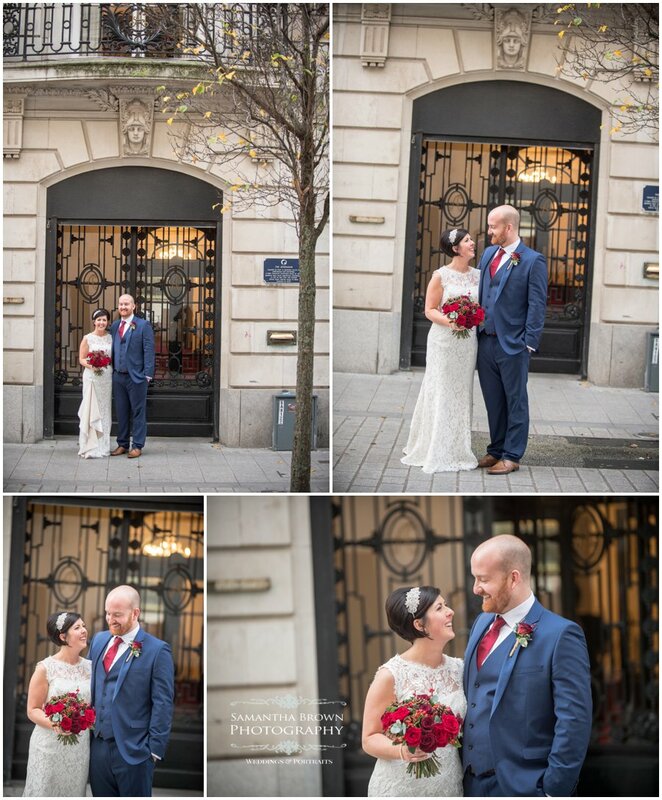 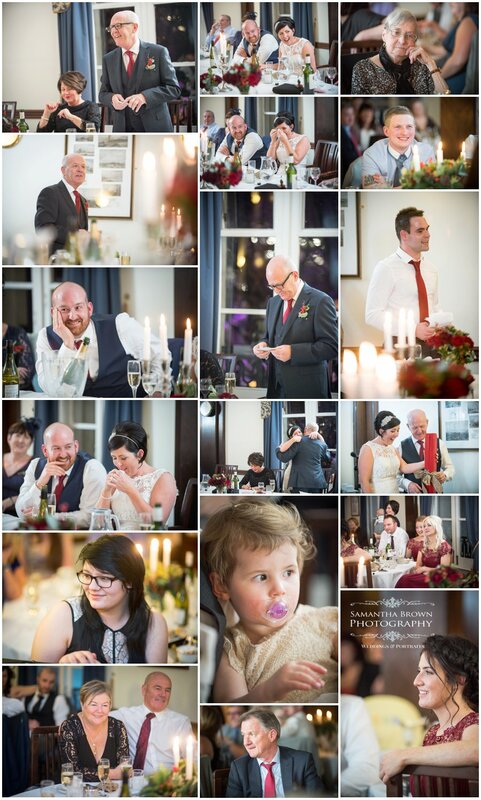 The Athenaeum in Liverpool, is one of the most beautiful and sought after wedding venues in Liverpool City center. 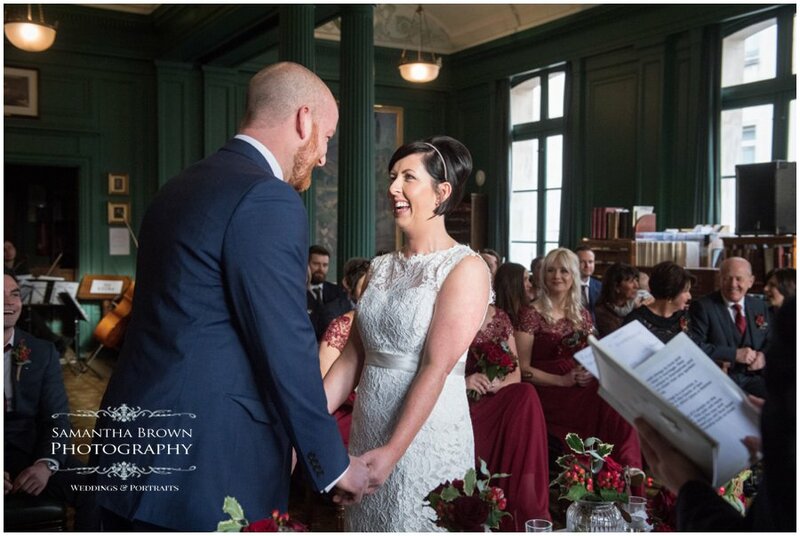 Its sophisticated surroundings and architecture, notable history and beautiful room settings make for a breathtakingly elegant backdrop to celebrate your special day. 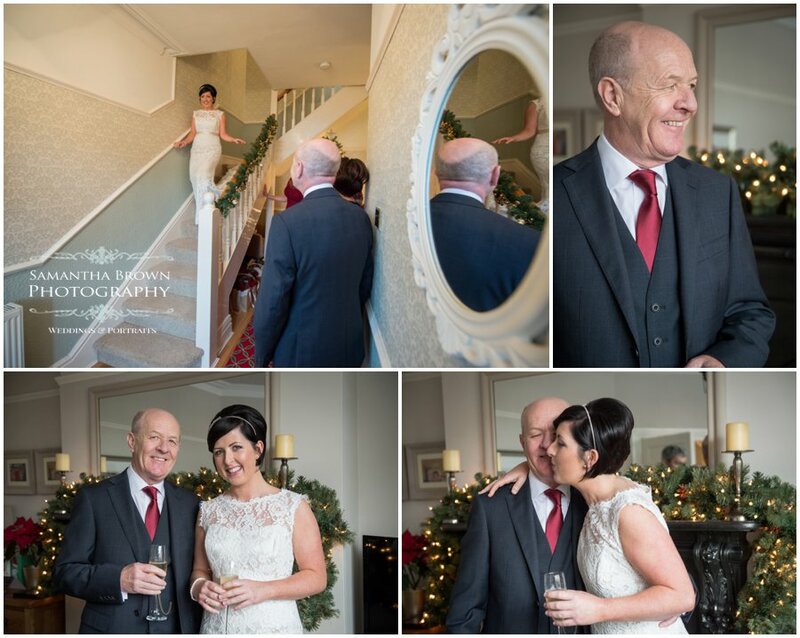 Its a photographers dream as there are so many lovely spaces to photograph in. 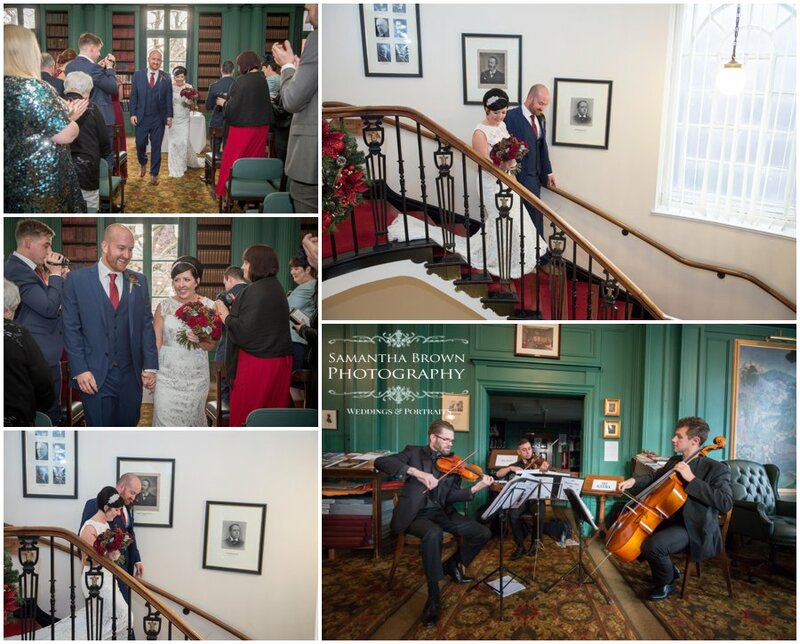 The key background colours are green, red and gold, with a fabulous oval staircase connecting the floors. 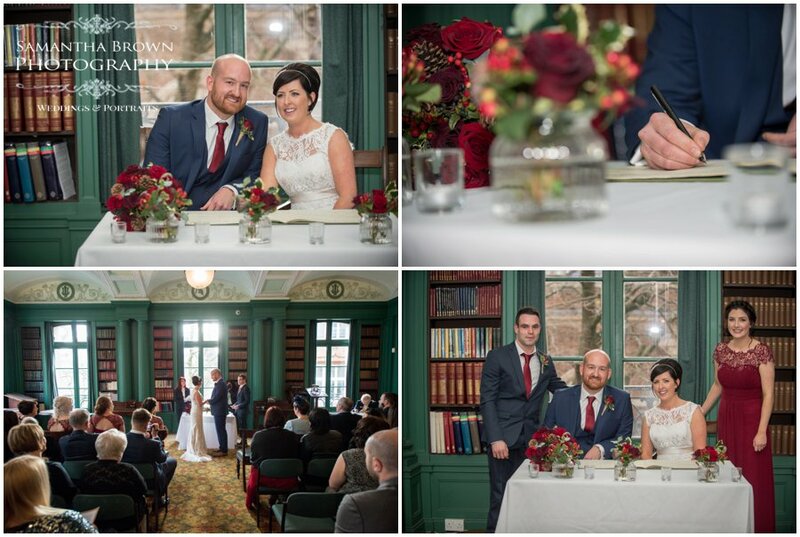 The rooms are spacious with huge windows allowing for beautiful natural light. 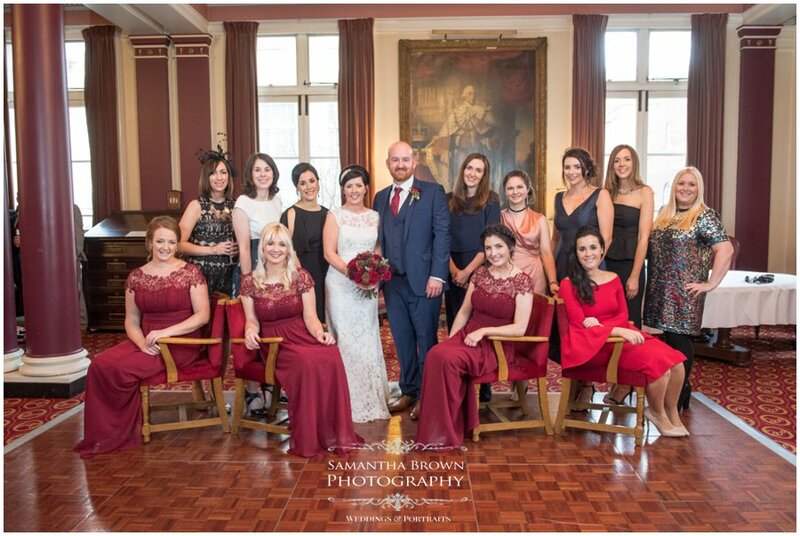 There is a wonderful Library which makes a fantastic backdrop for group photographs. 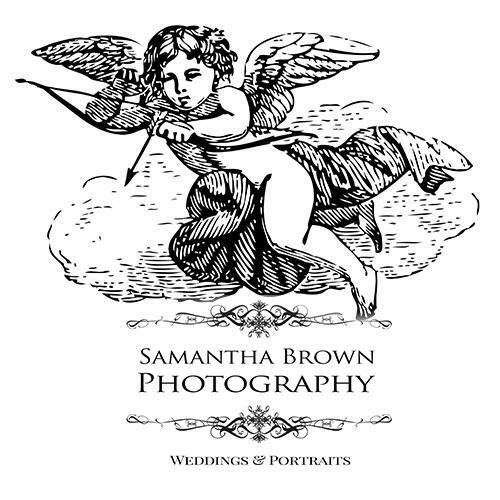 For creativity and stunning photographic potential I highly recommend this Venue. 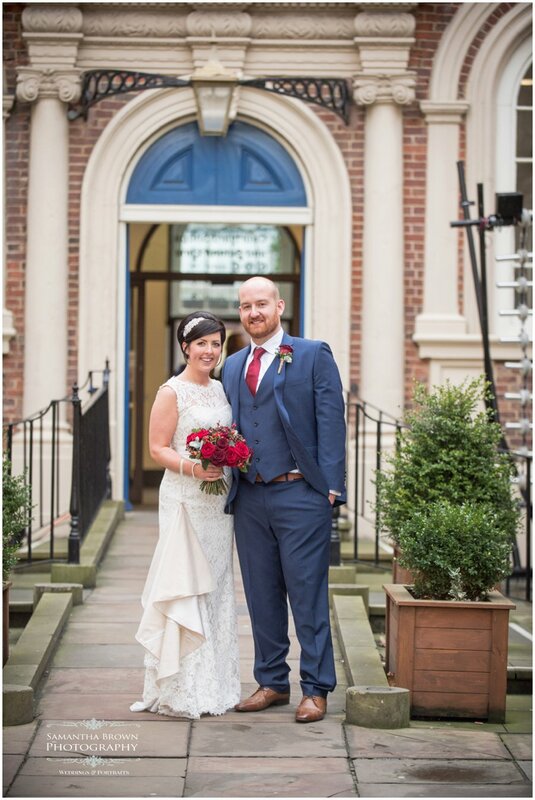 School Lane and the Bluecoat building is just outside giving you a wonderful outdoor opportunities too. 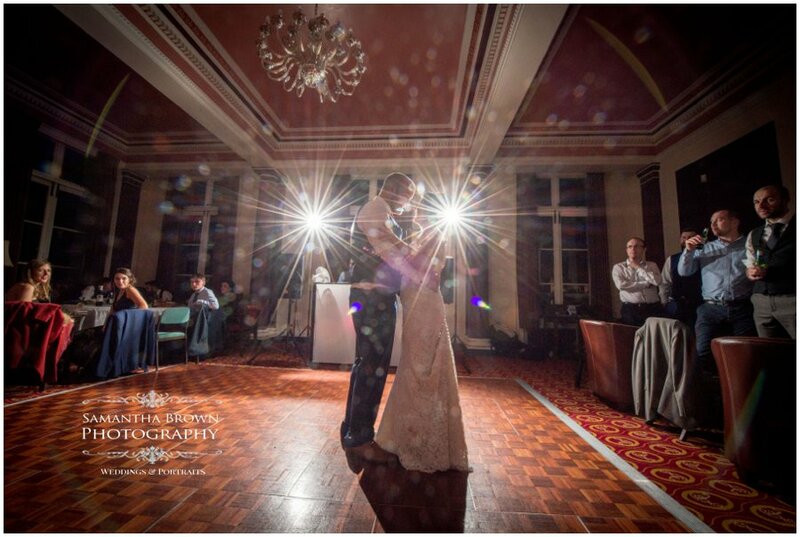 I absolutely love this building and the photographic potential that this offers. 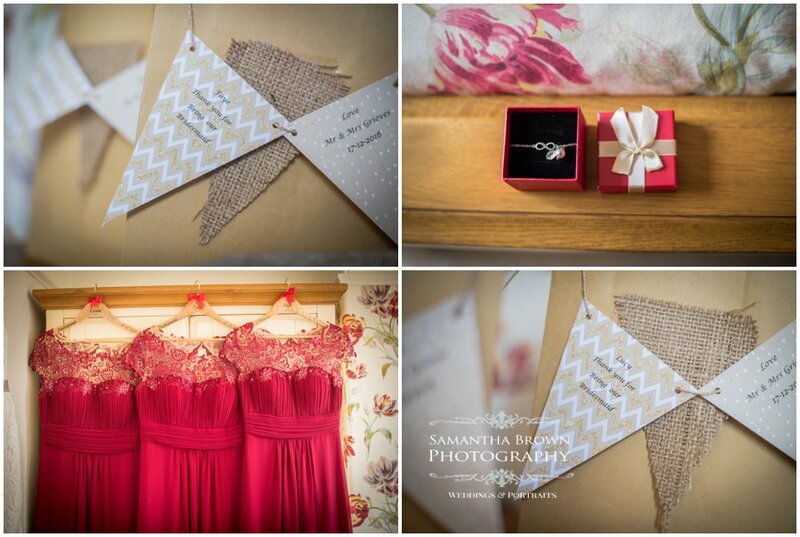 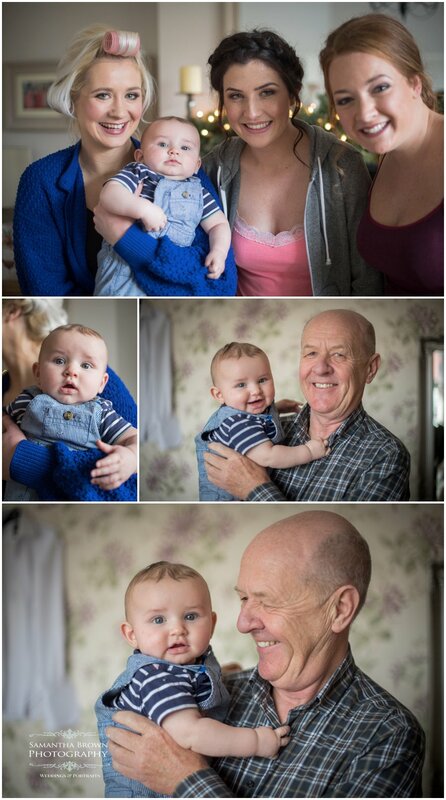 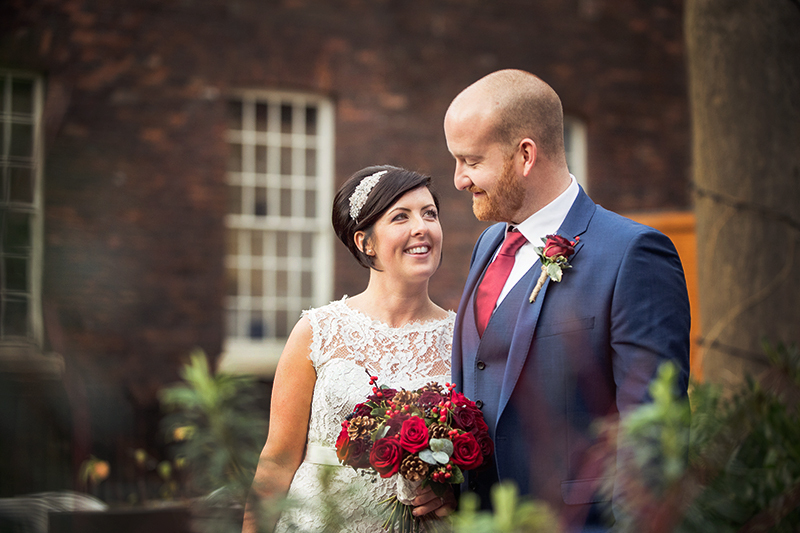 Helen and ray wanted a very natural and relaxed feel to their wedding photography. 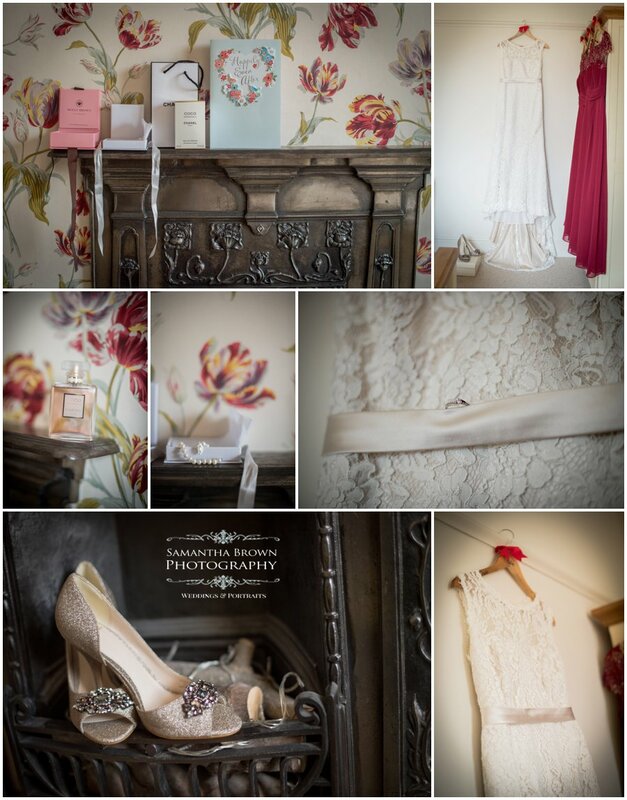 We started the day at Helen’s parents house where she and the girls got dressed. 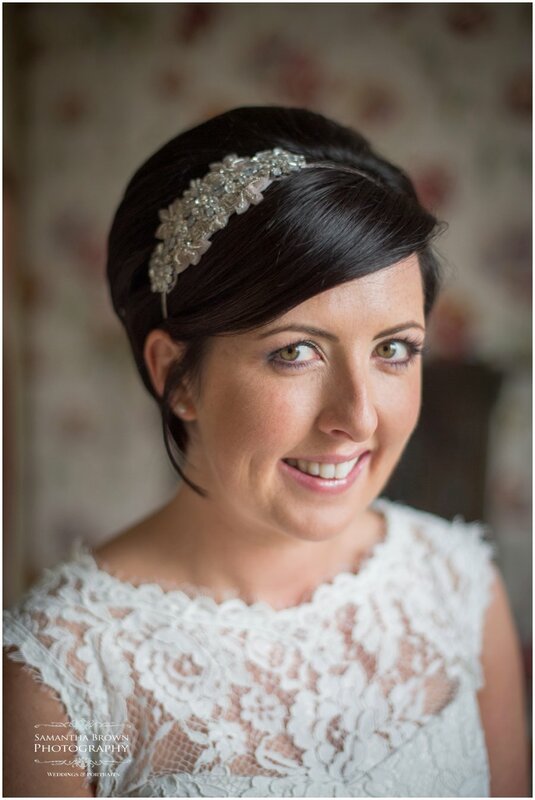 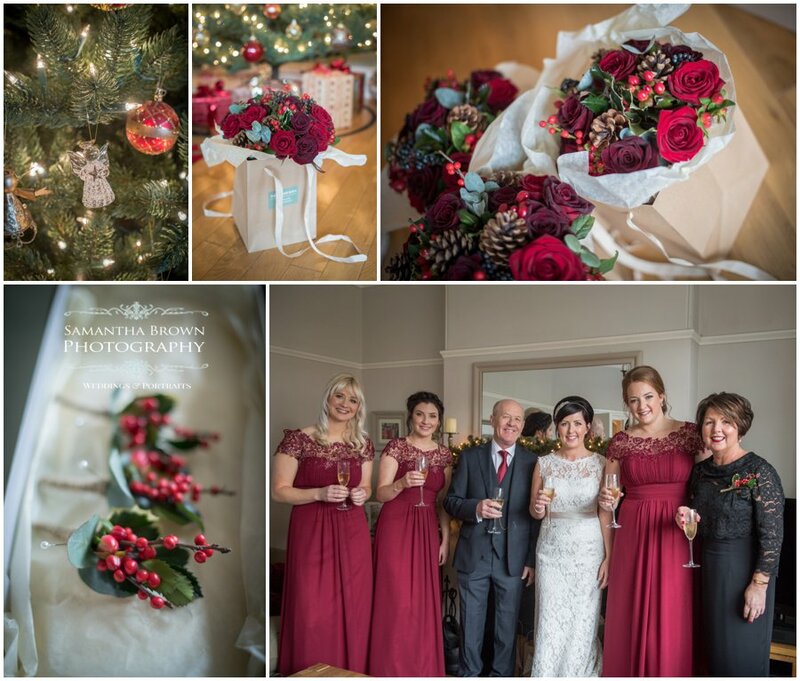 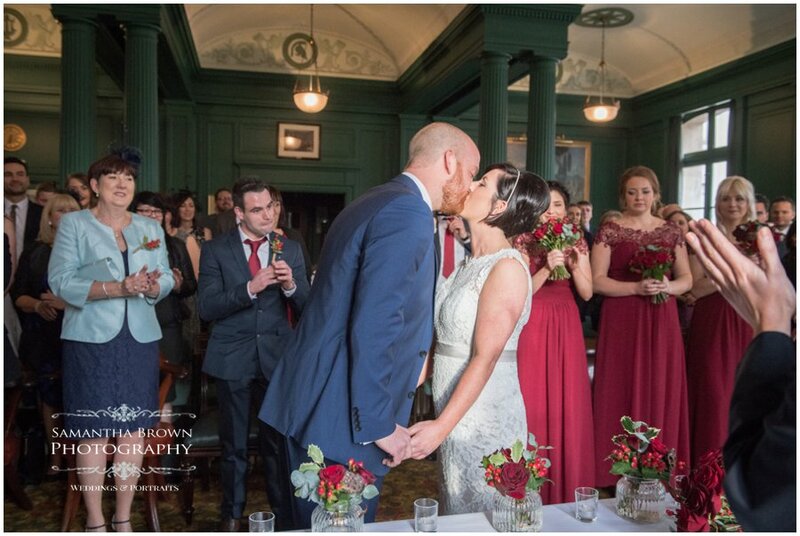 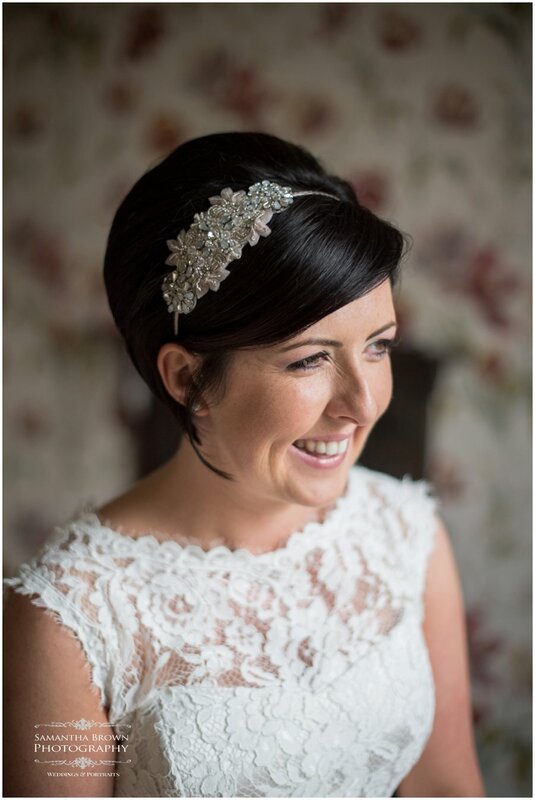 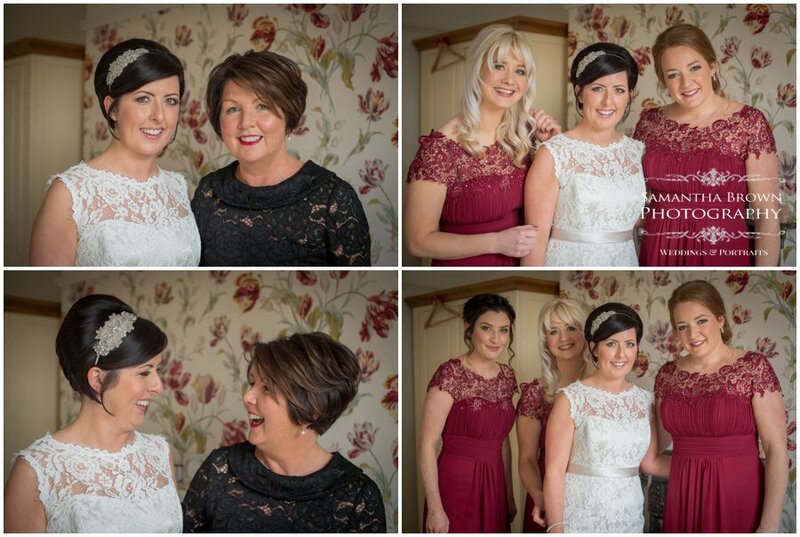 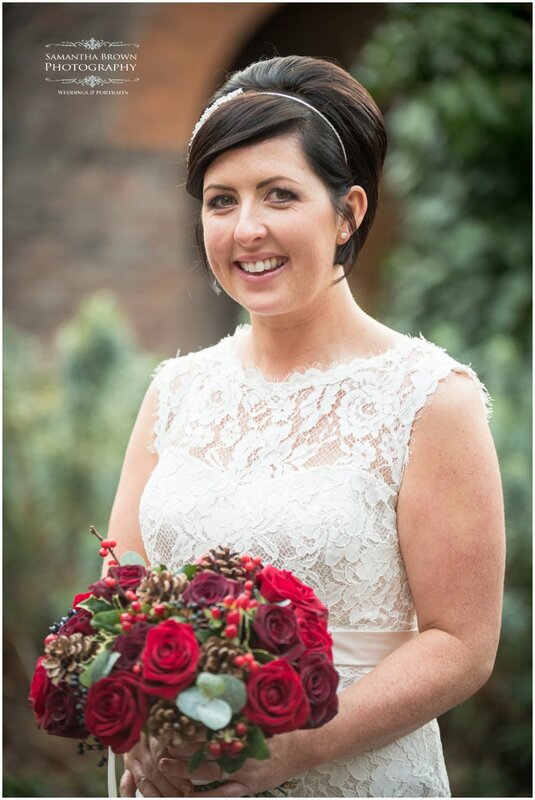 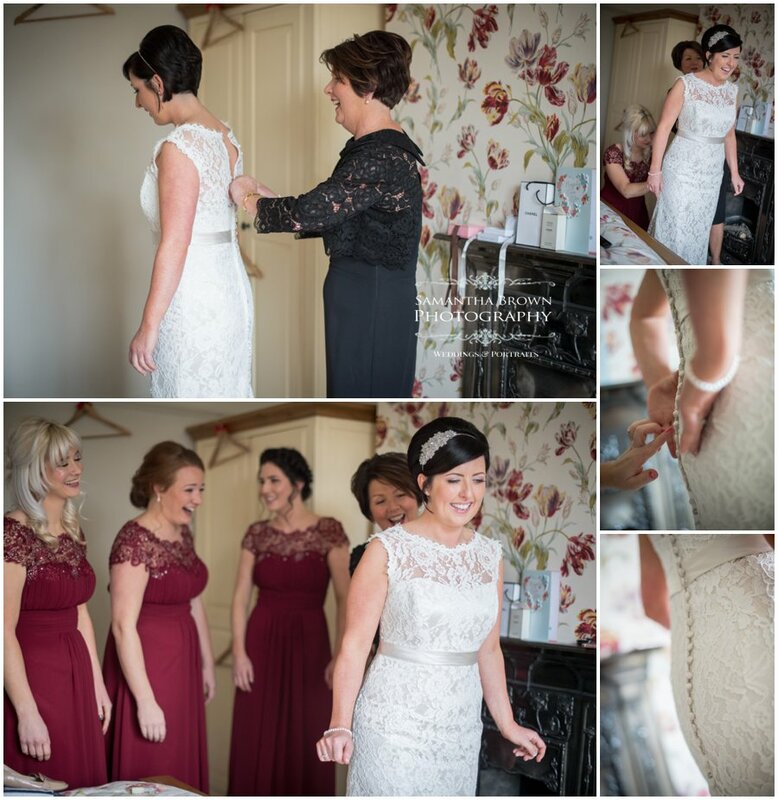 Helen looked stunning and wore a beautiful lace gown and the girls all had deep red dresses which tied in beautifully to the gorgeous bouquet of red roses, pine cones and berries, perfect for a winter wedding. 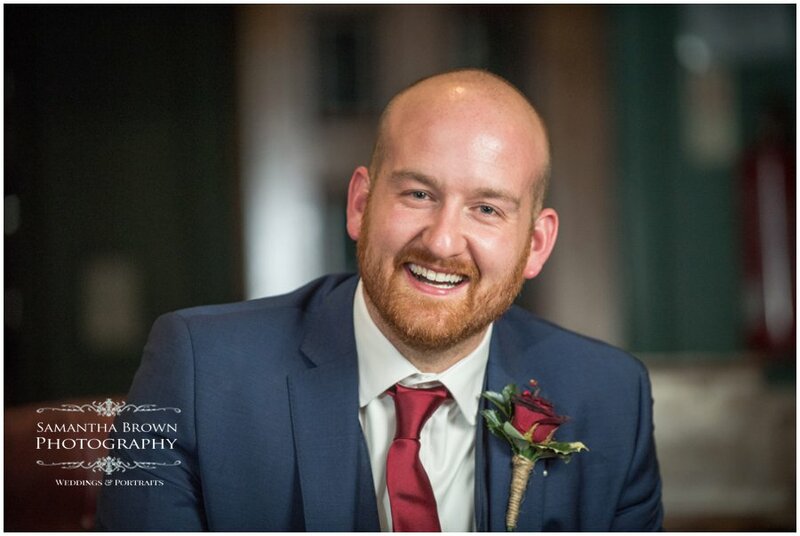 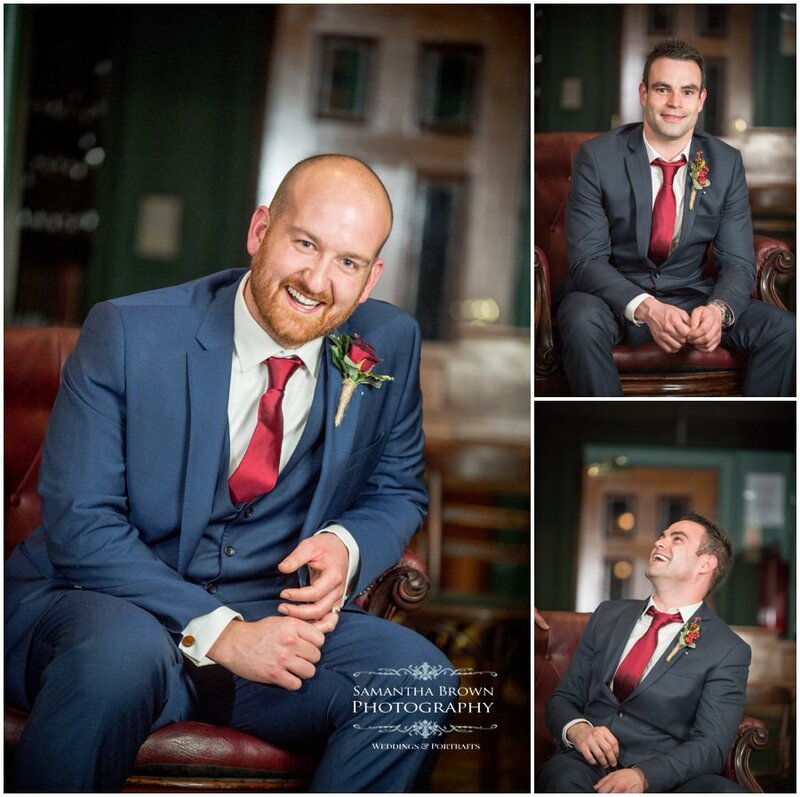 Ray and the guys were dressed in blue and grey suits with deep red satin ties to complement the flowers and bridesmaid dresses. 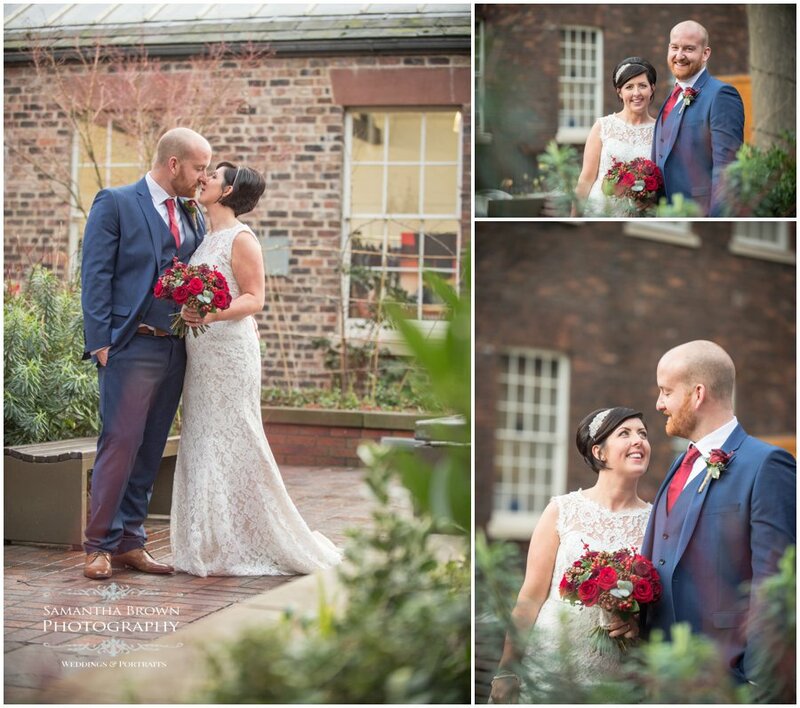 It was a gorgeous day with a very relaxed pace, we were able to take Helen and Ray across to the Bluecoat to get some shots in the courtyard before heading back to the Athenaeum for their wedding breakfast. 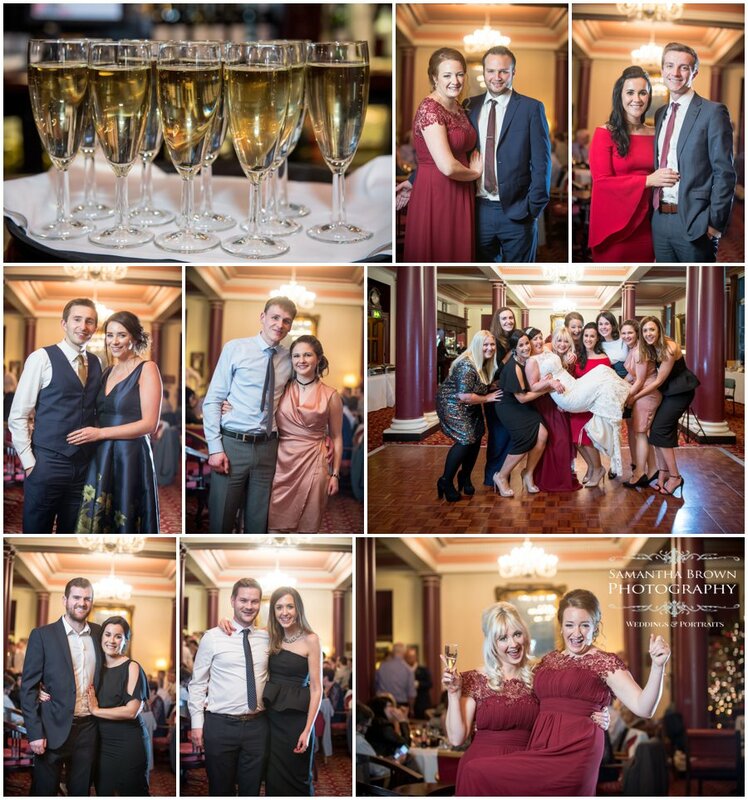 The party got off to a great start and everyone had a wonderful day!